How good are your chili, Bloody Marys? Contestants compete for the People’s Choice Award among others prizes at the annual Snowdown Chili Cook-off held at the La Plata County Fairgrounds. This year’s contest will be held Saturday, Feb. 4. 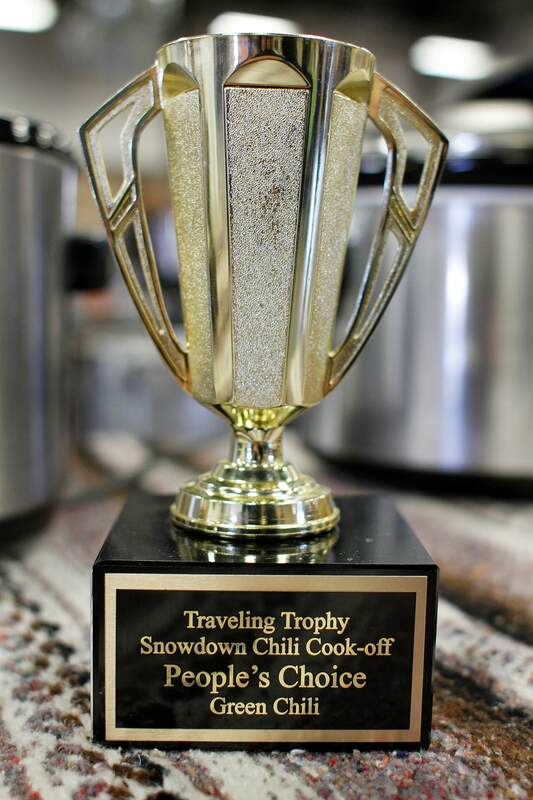 The Snowdown Chili Cook-off and Bloody Mary contest are seeking competitors. The cook-off is a fundraiser for Snowdown that raises over $10,000 per year. Entry is open to restaurants and professional cooks, but home cooks generally take first prize. The events will take place Saturday, Feb. 4, at the La Plata County Fairgrounds Exhibit Hall. Cooks have to make their chili at the fairgrounds Saturday morning and start cooking at 7 a.m. Most cooks make between 3 and 5 gallons. Judging begins at 10:30 a.m. and tasting samples are on sale to the public from noon until 2 p.m. alongside Bloody Mary samples. To determine the Judge’s Choice Award, 18 local chili aficionados carefully scrutinize each chili during a blind taste test. Community members can vote on their favorites for the People’s Choice Award. Categories are divided into red and green chilis. Prizes are awarded for first, second and third place in each category. Event coordinator Greg Yucha cooks a biscuit-and-gravy with scrambled-egg breakfast for cooks and volunteers. Cooks drink free, and there are also a door prize, raffle and trivia for cooks, with hundreds of dollars of gift certificates from many local businesses. The Snowdown Bloody Mary Contest will take place during the cook-off. Drinks must be made on-site, and vodka, cups and ice will be provided. This is a family-friendly event. Chili samples cost 50 cents and Bloody Mary samples $1. Beer and soda will be available for sale as well. Deadline for entry is 7 a.m. for the cook-off and 9 a.m. for the Bloody Mary contest on the day of the events. Contest rules and sign-up sheets are available at Wagon Wheel Liquors, BREW Pub & Kitchen and Sunnyside Farmer’s Market inside Nature’s Oasis. For more information, call Yucha at 382-0788.